It’s a fact - we all wish we could be ninjas. Wish granted! 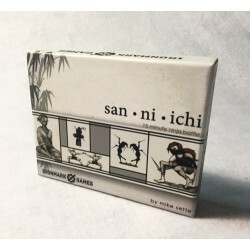 In the game of San, Ni, Ichi, you will be taking on the role of a martial artist who has mastered combat using the three elements: fire, water, and wood. Each game will engage you in a thrilling battle to determine who is the greatest ninja master of all time!